The Dopamine Loop is Dead. Long Live the Experience Loop! It's clearly not enough to simply hack human psychology. We need more sustainable models. In 1958, Swedish researcher Nils-Ake Hillarp discovered the role of dopamine in the human brain. What scientists went on to learn over the following decades was in our days exploited by tech companies to engineer dopamine loops. Thus, our behaviour towards smartphones and other digital tools was profoundly changed, and today we find ourselves trapped in those loops. With Hooked, published in 2013, Nir Eyal basically wrote a playbook for the design of dopamine loops in the realm of tech. The book cover, of course, said it was about habit-forming products. These days, however, the common sentiment towards those kind of products has significantly changed, so that even Facebook is now strongly motivated to tinker with its news feed algorithm. Mark Zuckerberg's wording in his announcement was telling: The first sentence mentioned time well spent as Facebook's new focus. Coincidentally, that's the name of an organisation founded by Ex-Googler Tristan Harris, with Facebook veteran Roger McNamee as advisor. McNamee recently wrote an essay on how to fix Facebook. Time well spent (the organisation) explicitly focusses on the issues created by habit-forming products like Facebook. What does this mean for the design and development of digital products? It's clearly not enough to simply hack human psychology. We need more sustainable models. Enter Matthias Schrader, who recently published the English version of his bestseller Transformational Products. In this book, he proposes the Experience Loop model. His model takes up several insights from Nir Eyal, but expands Eyal's hook model significantly. The key insight is the relentless focus on the user and his experience (UX) of the product. Superficially, this might sound trivial. But it's exactly the lack of focus on the product and on the value the product creates for the users that often makes the difference between success and failure. Transformational products redefine user expectations, change user habits and transform value creation. Granted, the Experience Loop model is definitely more complex than the hook model. But that's where the beef is. Matthias Schrader shows how Google, Apple, Facebook, and Amazon were able to reformat entire markets seemingly at will by creating transformational products (like Google Maps, Amazon Prime or Apple's iPod). 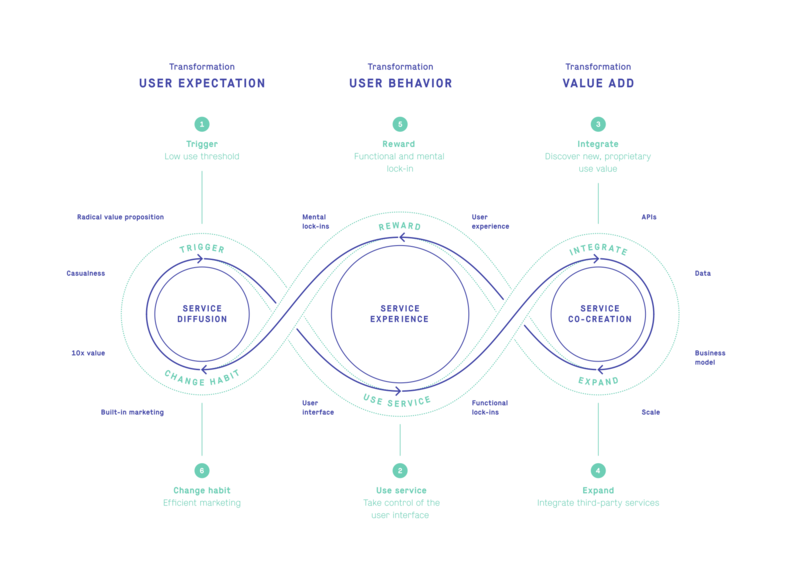 In the playbook part, the Experience Loop is followed in reverse order, starting with service co-creation, followed by service experience and service diffusion as the later parts. Service co-creation thus starts with the discovery of a product's use value. Besides, it is also about questions like business model, scale, data, and APIs. The service experience then addresses user habits, user interface, and user experience. Finally, the service diffusion discusses user expectations, triggers, value proposition, and built-in marketing. At this point, many product ideas fail because no mechanisms for self-marketing can be found. Recognising this fact early in the process saves a lot of time and resources. 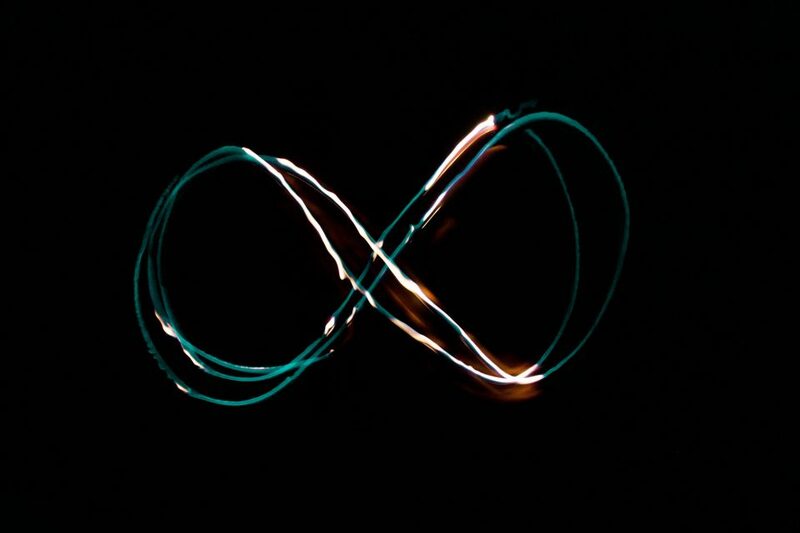 The Experience Loop is the new value chain, and contrary to the traditional, linear, inside-outside mindset with its focus on process-driven, incremental optimisation, it is an infinite loop. It follows a service-dominant logic, as it was first described back in 2004 by Stephen Vargo and Robert Lusch. They postulated a shift in focus from an economy based on goods to one based on services. Digital services are governed by software logic and can be scaled exponentially at negligible cost regardless of the amount of human effort involved in its creation. In our digital world of today, linear models no longer fit. But brain hacks and dopamine loops don't do the trick. Welcome to the infinite loop. Disclosure: Matthias Schrader is the co-founder and CEO of SinnerSchrader, the co-host of the NEXT conference. I was involved with the book.